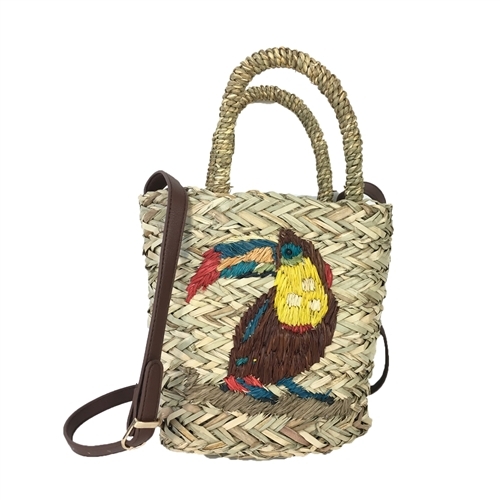 Go for a effortlessly chic look with the Tiki Parrot hand woven straw basket bag. A perfect match for your sunny day look. 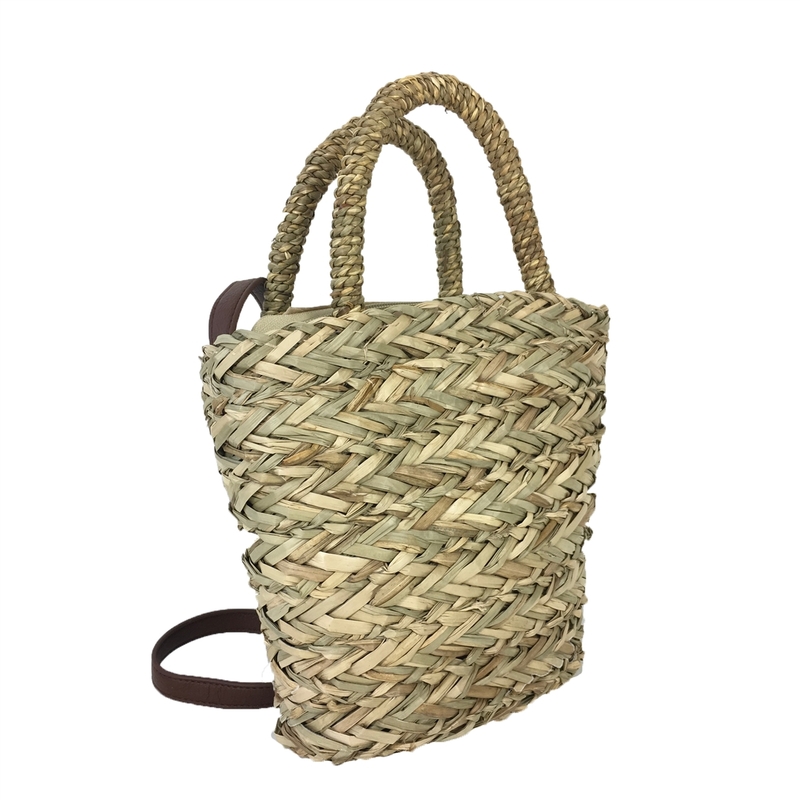 Small basket bag crafted in woven natural paper straw. Front features a woven Parrot graphic with bead eye applique. Top zip closure. 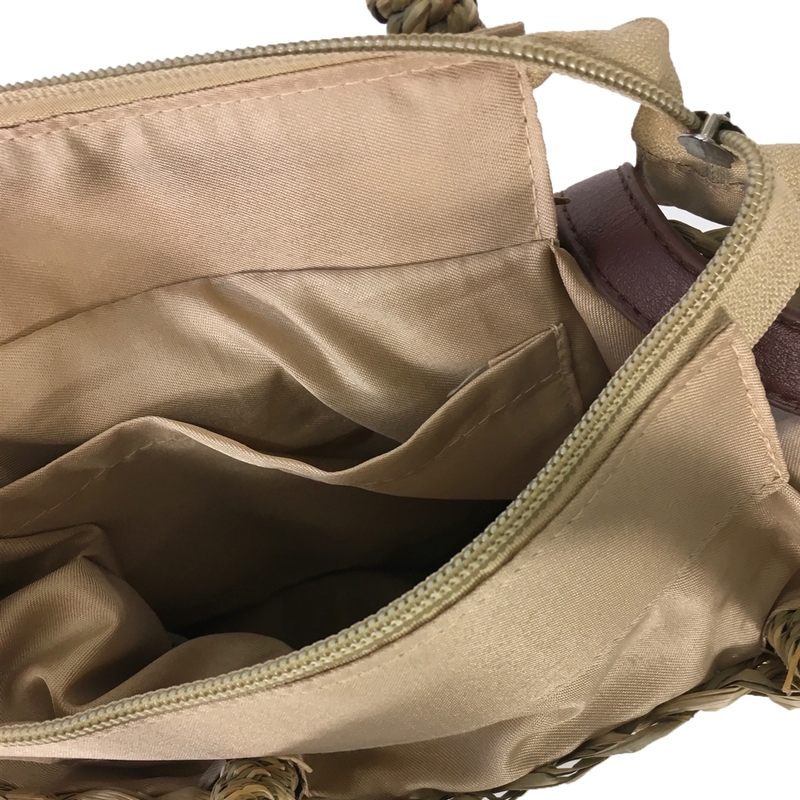 Lined Interior.slip pocket.